Do large falls in the market tend to happen on certain days of the week? 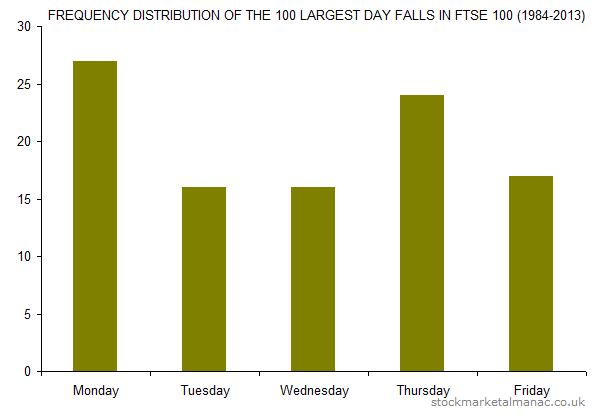 The following chart shows the frequency distribution by day of the week for the 100 largest daily falls in the FTSE 100 Index over the period 1984-2013. Out of the 100 worst daily falls, 27 occurred on a Monday, making it the most common day for large falls. After Monday, Thursday saw the greatest number of large falls. 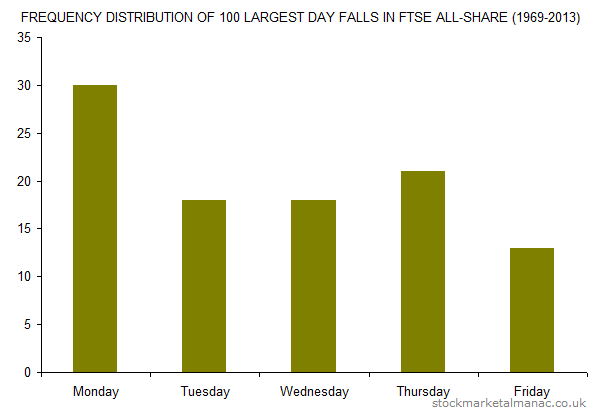 The following chart looks at the weekday distribution of large falls over a longer period (1969-2013) for the FTSE All-Share Index. Again, Monday saw the greatest number of large falls; in fact the number of large falls on Monday is greater here (at 30) than for the precious test. Obviously, the UK market follows the US market, especially for large market moves. So, it is interesting to look at what happens in the US market. 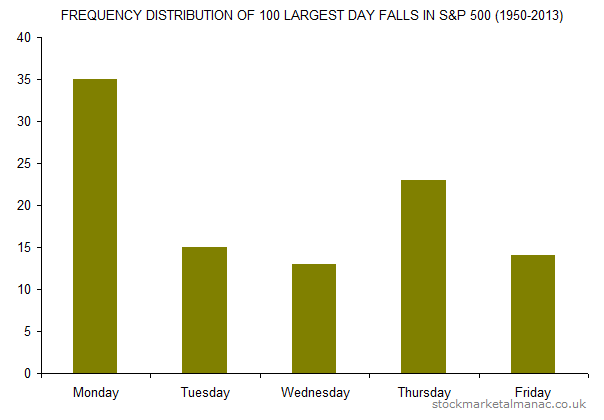 The following chart shows the frequency distribution by day of the week for the 100 largest daily falls in the S&P 500 Index over the period 1950-2013. Again, we see that Monday was the most common day for large market falls. 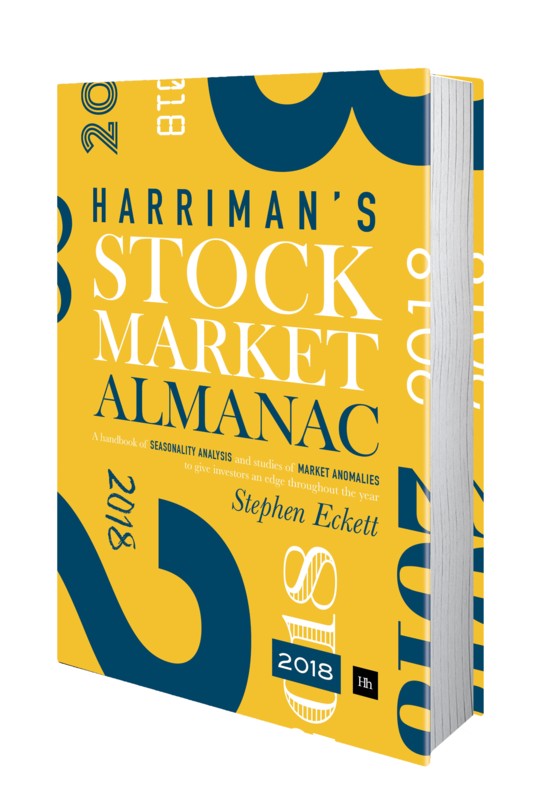 35 of the 100 largest falls in the S&P 500 since 1950 occurred on a Monday. 6 of the 8 largest falls in the index since 1950 occurred on Mondays. The largest daily fall in the S&P 500 Index since 1950 was a 19 October 1987 (a Monday). Other articles on day of the week anomalies.